Owners of private businesses often wonder: How much is my business interest worth? Financial statements are a logical starting point for answering this question. Here’s an overview of how financial statements can serve as the basis for value under the cost, income and market approaches. Because the balance sheet identifies a company’s assets and liabilities, it can be a good place to start the valuation process, especially for companies that rely heavily on tangible assets (such as manufacturers and real estate holding companies). Under U.S. Generally Accepted Accounting Principles (GAAP), assets are recorded at the lower of cost or market value. So, adjustments may be needed to align an item’s book value with its fair market value. For example, receivables may need to be adjusted for bad debts. Inventory may include obsolete or unsalable items. And contingent liabilities — such as pending lawsuits, environmental obligations and warranties — also must be accounted for. Some items may be specifically excluded from a GAAP balance sheet, such as internally developed patents, brands and goodwill. 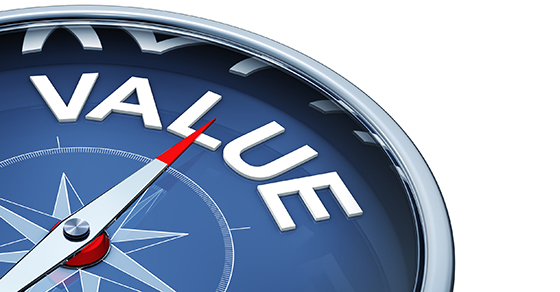 Value derived under the cost approach generally omits intangible value, so this estimate can serve as a useful “floor” for a company’s value. Appraisers typically use another technique to arrive at an appraisal that’s inclusive of these intangibles. The income statement and statement of cash flows can provide additional insight into a company’s value (including its intangibles). Under the income approach, expected future cash flows are converted to present value to determine how much investors will pay for a business interest. Reported earnings may need to be adjusted for a variety of items. Examples of items that may require adjustments include depreciation rates, market-rate rents and discretionary spending, such as below-market owners’ compensation or nonessential travel expenses. A key ingredient under the income approach is the discount rate used to convert future cash flows to their net present value. Discount rates vary depending on an investment’s perceived risk in the marketplace. Financial statement footnotes can help evaluate a company’s risks. The market approach derives value primarily from information taken from a company’s income statement and statement of cash flow. Here, pricing multiples (such as price to operating cash flow or price to net income) are calculated based on sales of comparable public stocks or private companies. When looking for comparables, it’s essential to filter deals using relevant criteria, such as industrial classification codes, size and location. Adjustments may be required to account for differences in financial performance and to arrive at a cash-equivalent value, if comparable transactions include noncash terms and future payouts, such as earnouts or installment payments.